Vineyards were very much a feature of life in earlier times. Jesus always used the ordinary things of life to teach people about the extraordinary realities of the afterlife in the Kingdom of Heaven. So then, we are not surprised at his use of wine to teach them. To prepare them for His greatest miracle, that of turning wine into His Precious Blood, He performed, at the behest of His Mother, His very first public miracle at a wedding feast in a place called Cana: he turned water into wine so that the bride and groom would not be embarrassed when their wine ran out. He also showed here that He had the capacity to change one substance into another through use of His Divine power: that invested in Him by God, His Father in Heaven. We can appreciate how the early Christians, many of whom were alive at the time Jesus was on earth, were so determined to fulfil His command to them to “Do this in memory of Me.” For this they risked their own lives and the lives of those dear to them, to follow Him. Symbols were their way of protecting themselves. 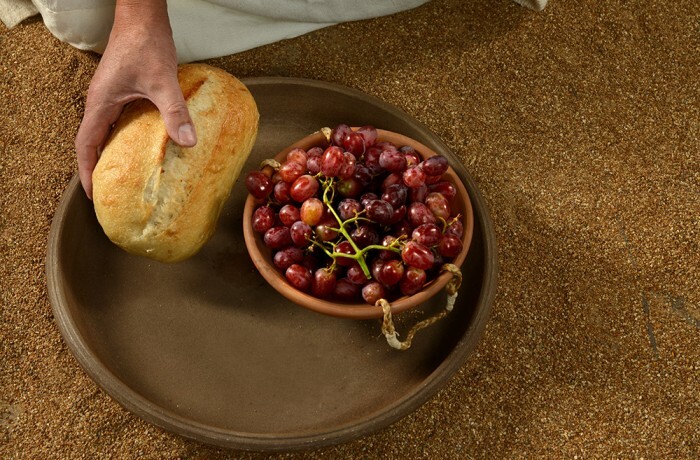 Those of the bread and the wine were central to their Christian life.